Extract text displayed on screen and automate the UI of other apps. * Source code generator - C++, C#, VB6, VB.Net source code for your particular screen scraping or GUI automation scenarios. Code samples for Delphi and other languages available. * Screen scraping library - Enables your app to get text out of screen regions or even entire scrolling windows. * UI automation library - Uniquely identifies UI controls at runtime based on an auto-generated query selector; offers methods to automate most operations on controls like clicking, writing text, selecting items. * Screen selection library - Empower your users to interactively select screen regions and UI controls. Does Screen Scraper Studio work with all apps? Qweas is providing links to Screen Scraper Studio 5.1 as a courtesy, and makes no representations regarding Screen Scraper Studio or any other applications or any information related thereto. 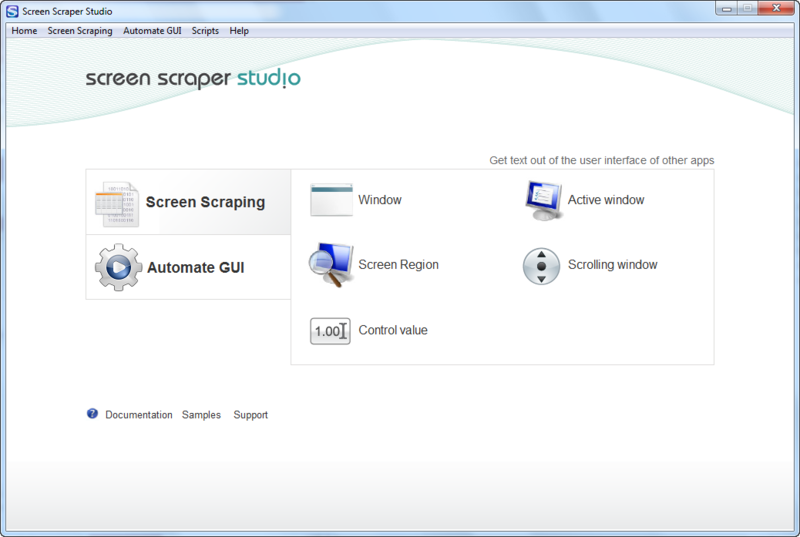 Any questions, complaints or claims regarding this application Screen Scraper Studio 5.1 must be directed to the appropriate software vendor. You may click the publisher link of Screen Scraper Studio on the top of this page to get more details about the vendor.